You create a beautiful website for your client. Then, you hand over the website to them. Sometime later, you get a desperate call from them because they did something that made it so the site either doesn’t display or looks horribly messed up and they need your help to fix it. What can you do to make certain that the site you build isn’t easy to break? WordPress has different user roles. Use the different roles based on the clients needs. They don’t need to have full administrator access if they are going to be publishing blog posts and page updates. Use Gravity Forms to create a form for adding content to the website. You add this option for people who are creating content and don’t need access to the admin section. The website’s editor can approve and release content to be seen by your website visitors. Install the plugin Admin Menu Editor. It allows you to hide certain menu items from your clients. The less they have access, the less likely for them to make a mistake that damages the website. Add the TinyMCE Advanced plugin to make editing simpler for your clients. The existing editor may have too many features and make it too easy to break the website. This plugin can help to create an editor that has only the features that they need. Create custom widgets to the dashboard that provide extra help for your clients. You may want to create a help section that provides step by step instructions on how to edit and update their website. Brennan Bliss gives his tip in his talk at WordCamp Albuquerque 2018. When you hand a website over to your client, you want them to be able to maintain it as smoothly as possible. You want to give them a site that is hard to break. 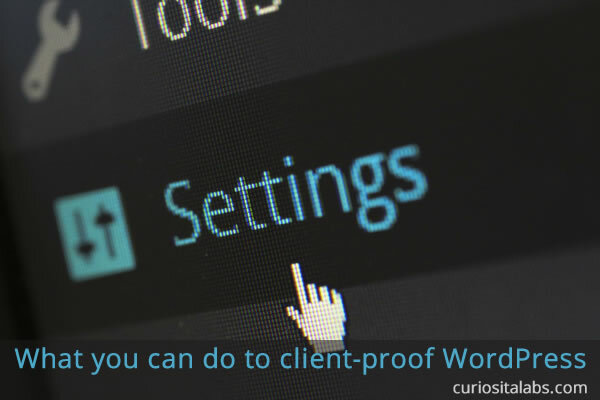 By making adjustments to the admin dashboard, restricting the type of user roles they get and using custom widgets and plugins that change how the admin works can help both you and your client have a better experience with the WordPress site that you built. 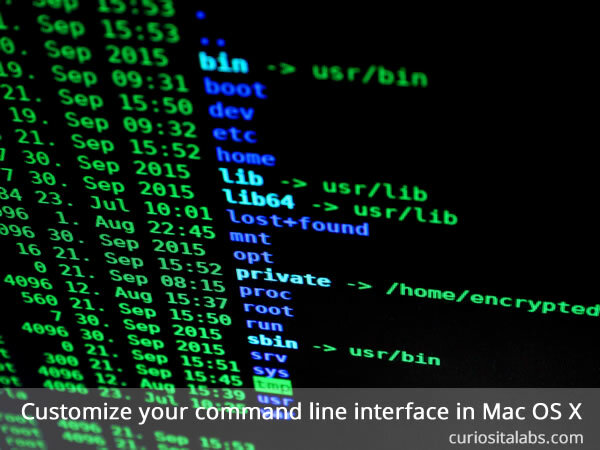 When you use you the MacOS for a development environment, you will have to use a command line interface to get some things done. 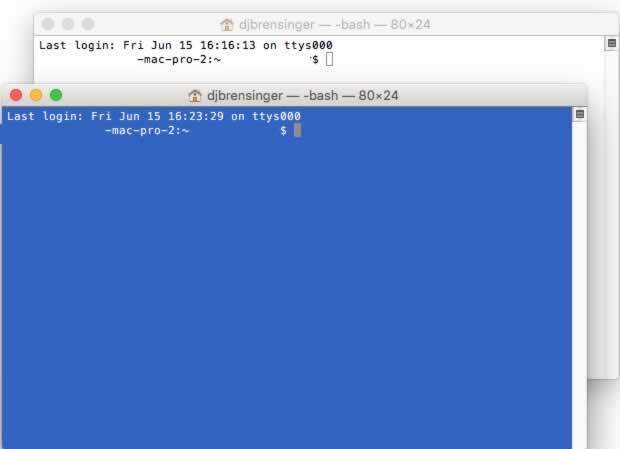 With MacOS, you get the default command line interface tool called Terminal. You may notice that the Terminal window is a bit bland. What can you do? You can customize it. When you first open Terminal, it looks a bit like this. To make it look better, you’ll want to change the appearance by changing its colors. It comes with 10 different profiles or themes: Basic, Grass, Homebrew, Man Page, Novel, Ocean, Pro, Red Sands, Silver Aerogel and Solid Colors. Not sure which profile to pick. You can open a terminal window with the selected profile. In Terminal, click on the Shell Menu, choose New Window, scroll over to the drop down menu and select a profile. A new window opens in the profile theme that you have chosen. You can also tweak a profile by changing fonts, colors and much more. Open the Terminal’s Preferences and click on Profiles. In the Profiles window, click on the + button to create a new profile. Then, change the settings as desired. 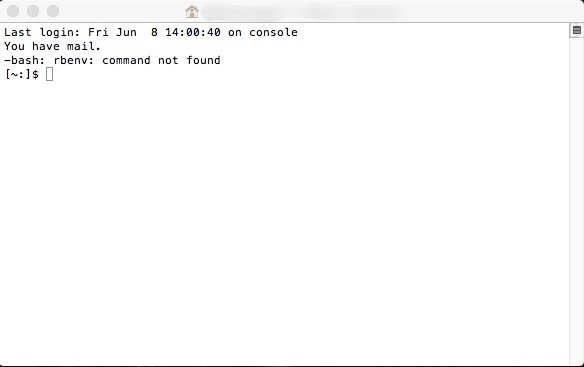 After working with the Terminal window for a while, you may want to change how it looks. 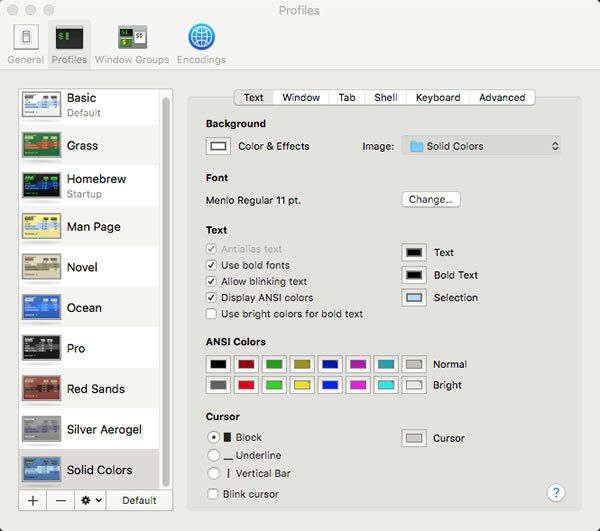 You can choose to change the fonts and colors, pick a theme or create your own. What if you don’t want to use the Terminal Preferences window, you can edit the .bash_profile file. Whether you customize by using the preference window or edit the bash file, you can make the Terminal window look the way you want.